Bhalinder is an avid traveller belonging to the family of hoteliers. 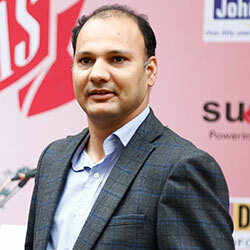 He was born in New Delhi, studied at Shimla and graduated in B.A (Hons) Degree in Hospitality Management. Bhalinder Ghai is associated with Indian travel industry since 2002. He has successfully managed his family business resort called" Shilon Resort" and introduced his own Travel Company soon after. Today, he passionately customises travel itineraries for others to explore the beauty of India comfortably. A man of varied tastes, Bhalinder has improved Indian travel in terms of itineraries, travel, hospitality, accommodation and theme based travel. Eleni loves to travel and experience new cultures all around the world. She has been in the travel and hospitality industry for over 15 years and brings a wealth of experience. She has also stayed in some spectacular places in Europe including Greece and Cyprus. 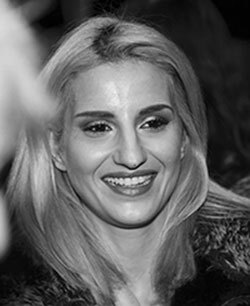 Eleni enjoys using her extensive travel experience to construct tailor-made holiday itineraries for her clients and their budget.